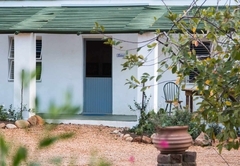 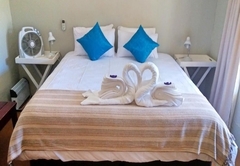 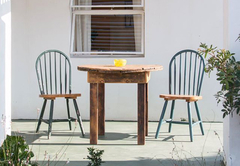 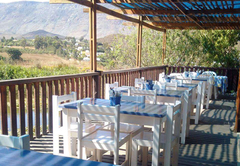 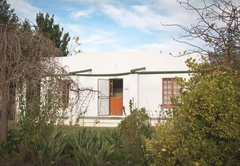 The Blue Cow Barn is a property providing self catering in Barrydale for tourists visiting the Cape Overberg region. 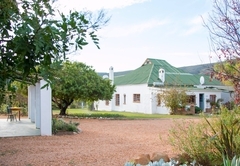 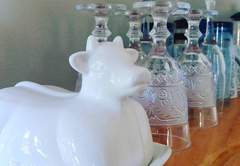 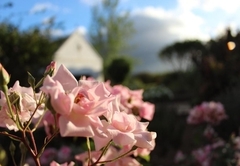 Embrace farm life at The Blue Cow Barn and enjoy boutique farm accommodation in one of three self catering cottages. 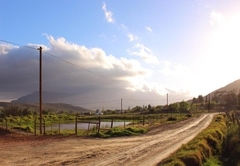 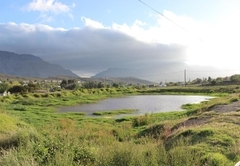 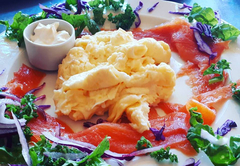 We can be found in Barrydale, a beautiful village that lies between the Klein Karoo and the Cape Overberg and are within close proximity to a number of surrounding areas all of which also have many attractions and activities to offer. 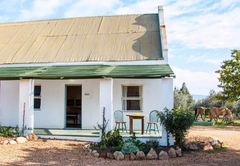 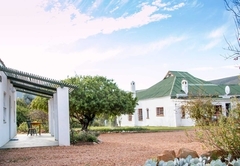 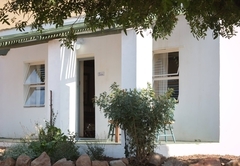 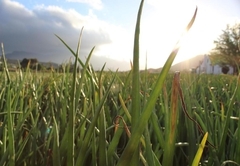 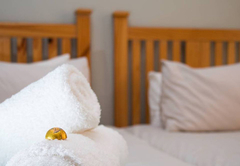 The accommodation is situated on a farm, one kilometre from the town centre, offering the perfect blend of tranquilly and easy access to necessities. 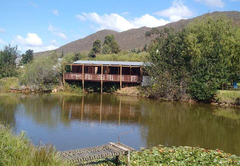 We offer peacefulness, private parking, grass lawns, a stoep with magnificent views, the opportunity to explore the farm, swim in the dam and enjoy an experience like no other. 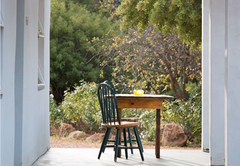 Wi-Fi is available in public areas. 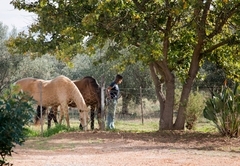 The farm is pet friendly. 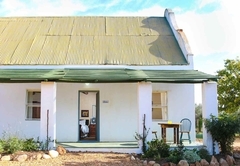 This luxury self catering cottage sleeps two guests in two ¾ beds and has a bathroom with a shower. 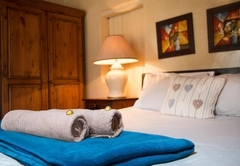 The cottage has a lounge area and fully equipped kitchen containing a bar fridge, stove, kettle and toaster. 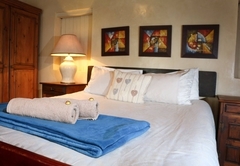 The unit has a fan and heater for your comfort. 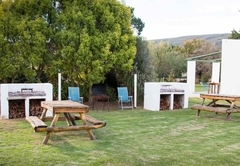 There is an outside stoep and braai facilities. 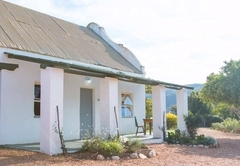 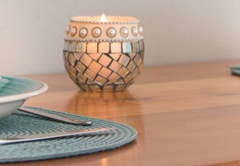 This self catering unit offers luxurious comfort and sleeps two guests in a double bed. 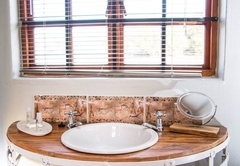 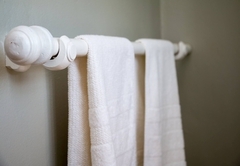 The bathroom has a shower and there is a fan and heater available for your use. 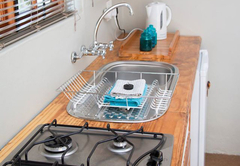 The kitchen is fully equipped for your self catering needs and includes a bar fridge, stove, kettle and toaster. 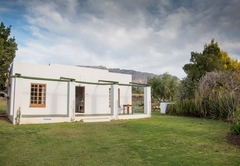 Outside on the stoep area you can enjoy brilliant views while having a braai. 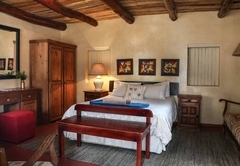 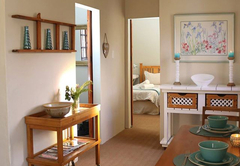 This self catering unit offers luxurious comfort and sleeps two guests in one double bed. 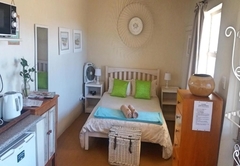 The bathroom has a shower and there is a fan and heater available for your use. 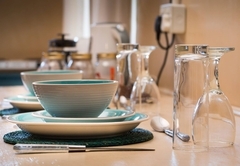 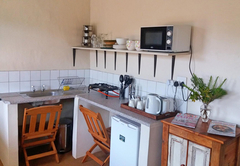 The kitchen is fully equipped for your self catering needs and includes a bar fridge, stove, kettle and toaster. 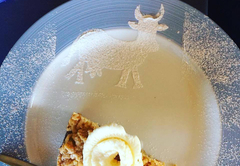 Response timeThe Blue Cow Barn typically responds to requests in 5-10 minutes.